Now is the time to revive an intimate and natural connection between Londoners and their lost rivers. The Environment Agency estimates that 70% of London’s river network is concreted, covered over, interrupted by weirs or otherwise modified. Some can only be glimpsed in odd places, such as through a grating or guessed at from local road names. Fleeting Dips is about using a lost infrastructure - celebrating its existence and route - to host a series of aquatic sports and spa spaces. 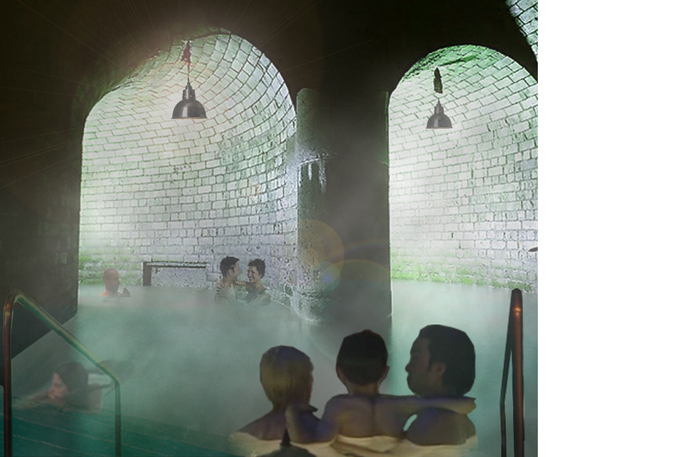 The scheme utilises existing caverns and networked tunnels, making them accessible to the public for their pleasure. 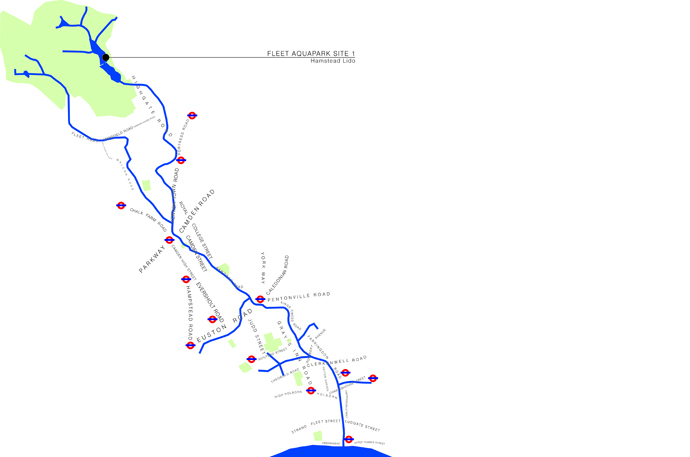 It is intended that these ‘blue’ interventions will coincide with some of the ‘greyest’ and most urban parts of street-level London; a subterranean landscape, respectively linking Kentish town to and from the River Thames and bathing ponds at Highgate and Hampstead Heath. The intention is to build upon the successesful regeneration of Olympic Village waterways and renewed enthusiasm for Olympic aquatic sports.